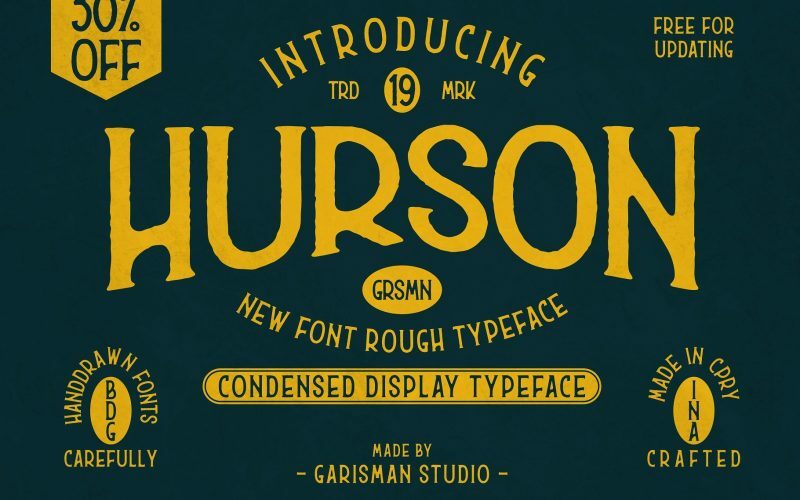 HURSON is born from original and hand-drawn style font. 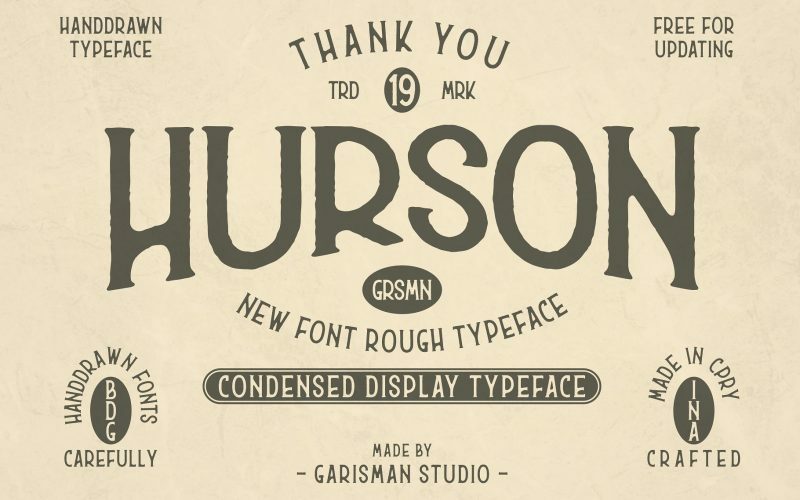 This font gives a feel of vintage, classic, old, handmade looked like. 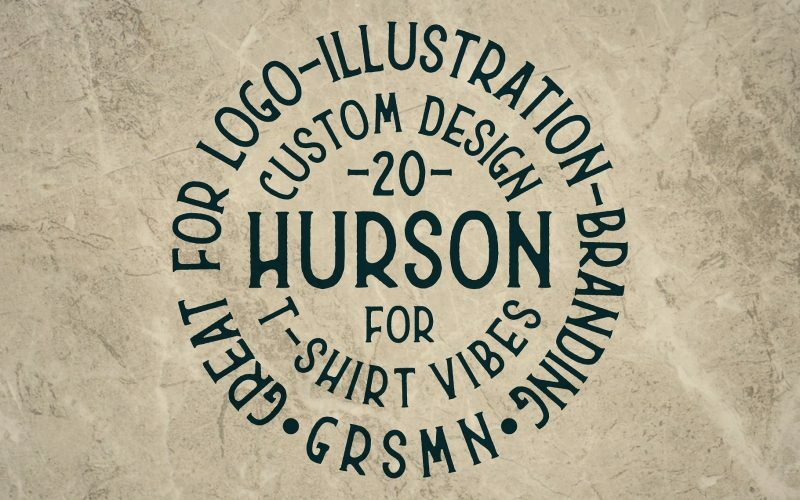 Already PUA Encoded and I think this font is perfect for people looking for vintage aesthetic or handdrawn logo. 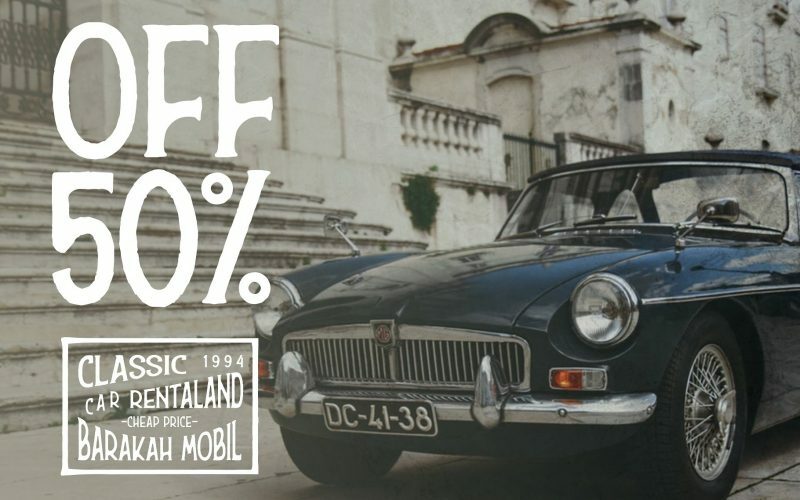 Suitable for any graphic designs such as branding materials, t-shirt, print, business cards, logo, poster, t-shirt, photography, quotes .etc.